Cannabis and Spanish Laws – Can you Buy Marijuana in Spain? →Cannabis and Spanish Laws – Can you Buy Marijuana in Spain? One of the things that the Iberian Peninsula is known for is its abundance of marijuana, thanks to its proximity to cannabis-producing countries. Understandably, a lot of people expect that regulations be relaxed due to the sheer amount of available cannabis and act like they have absolute permission in terms of marijuana use. Spain is certainly not the strict European country when it comes to marijuana, but it is not the most lenient either. Moreover, laws vary greatly by area. This article gives general information about Spanish laws governing marijuana-related activities, but you still have to look up local regulations that apply to the city or region you are visiting. The relationship between cannabis and Spain has been a rocky one. Earlier in this decade, the country had relaxed its laws slightly. However, the Law on Public Safety, which was passed in 2015, signified a small regression. This law imposes sanctions for the use, selling, production, and possession of cannabis that are much more stringent than before. The punishable thresholds were also made stricter. As in other countries, these strict regulations have resulted in a continuing illicit marijuana trade. At present, this underground market is as lucrative as the corresponding penalties are steep. Over time, residents and tourists alike have learned how to easily buy, use, and store their stash while going around local laws, which vary by region. The fine for publicly using or possessing marijuana in Spain ranges from 601 euros to as much as 30,000 euros. Public areas do not only cover streets and other public structures. They can mean bars, pubs, and other areas where you are used to mingling with members of the public. True enough, despite the restrictions and penalties for public marijuana consumption, a lot of people can be found casually smoking pot out on the streets and in pubs, among others, especially during Friday nights and weekends. The strict policies against public cannabis use do not necessarily translate to strict implementation. In fact, the reason a lot of people have the courage to smoke publicly is that authorities do not always take anyone into custody. Regardless of the quantity of cannabis found on you while in public, you may be given only a warning if you happen to come across the right officer. Meanwhile, minors caught violating these regulations are enlisted in rehabilitation programs and not fined. Private consumption is decriminalized, though. You can smoke marijuana in your home or even in private clubs dedicated for pot users. These clubs began popping up in the 1990s and have had a colorful history with Spanish regional governments. Within the past two decades, important figures from some of these clubs have been arrested, tried, sentenced, and jailed, whereas others got away merely because of jurisdiction. Some regional governments are just more lax than others. The good news is that these clubs are now firmly established. Currently, about 800 of these clubs can be found in Spain, and they have a grand total of 200,000 members. Cannabis clubs are nonprofit associations that grow and sell marijuana. Only Spanish citizens aged at least 21 years old are allowed in these clubs. Therefore, tourists sadly cannot join in. These are the same places where you can go to consume medical marijuana. In general, Spanish laws presently do not clearly distinguish between medical and recreational cannabis use (precisely because private consumption is decriminalized anyway). The downside to this is that doctors are not allowed to prescribe marijuana for treatment. Therefore, although you are free to buy your own weed and use it for, say, pain relief, and can freely use it in private clubs, there is always a risk of using the incorrect strain due to lack of medical advice. The good news is that medical marijuana is now officially recognized and legalized in Catalonia, the region that is home to Barcelona. Patients can go to the said clubs to obtain and use medical weed. Sativex, the marijuana-based medicine widely prescribed and used internationally, is also available for use by patients in Catalonia. This medication is for persons suffering from cancer, multiple sclerosis, and a series of related disorders. At present, buying cannabis seeds is not illegal in Spain. In fact, citizens and tourists alike freely order seeds, especially online. It is also fairly easy to buy from dispensaries because of the abundance of seeds being brought all the way from Morocco. Growing marijuana for private consumption is permitted, as long as your plants are far from public view and on private land, but commercial cultivation is illegal. However, again, Spanish laws can be a bit lenient, depending on the scale of your operation. Small grows are typically left alone by authorities. It is the big plantations that they crack down on. These big operators risk being fined anywhere from 601 euros to 30,000 euros, similar to the penalty for individuals caught publicly smoking or possessing. Bringing marijuana bought in Spain across national borders is considered drug trafficking and therefore entails large fines and other sanctions. All weed and derived products bought in Spain should be consumed within the country. This applies regardless of the legality of marijuana in your destination area. For example, although cannabis possession and use are decriminalized in Portugal, you still can’t bring any of your stash there. Spain appears to have a relatively open stance regarding marijuana. However, local authorities can impose harsh sanctions if you do violate what few restrictions that they implement. Although these regulations do sound agreeable, we still hope that they are made clearer to reduce subjectivity, which can harm you. 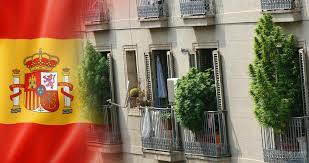 For example, the laws in Spain do not specify quantity thresholds. Therefore, your legal fate depends on the personal judgment or evaluation of the authorities. When it comes to cultivation, for instance, it can be hard to decide where to draw the line between quantities for personal use and those for commercial purposes.